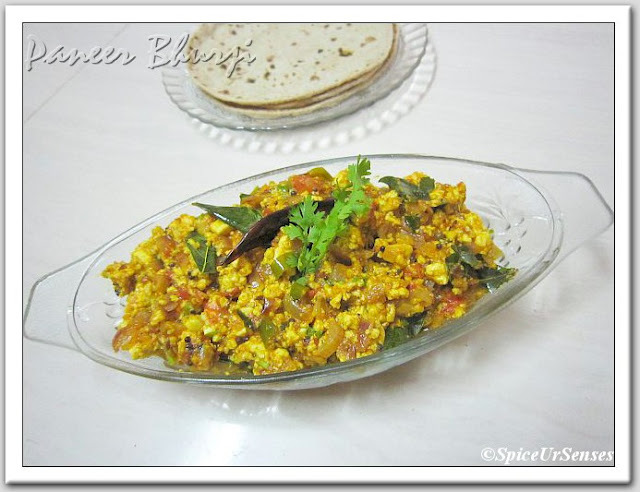 Paneer bhurji is a punjabi vegetable recipe with paneer or cottage cheese crumbled and then cooked with a choice of onions, tomatoes and select masalas. Serve hot with rotis, naans or parathas. Paneer Bhurjee also makes a great topping for fresh, hot toast!!! Heat the oil in a pan on a medium flame, till hot. Add the cumin seeds and fry till spluttering stops. Add the onions and fry till soft. Now add the green chillies and tomatoes and fry till the tomatoes are pulpy. Add all the powdered spices and mix well. Fry for 2 minutes. Add the paneer. Mix well and cook for 2 more minutes. or till the water get observed. Season with salt. Garnish with the chopped fresh coriander and serve hot with Chapatis or Parathas. Just love this delicious bhurji with rotis..my fav anytime..
OMG ! what a yummy looking paneer bhurji. super tempting. This looks so very inviting. 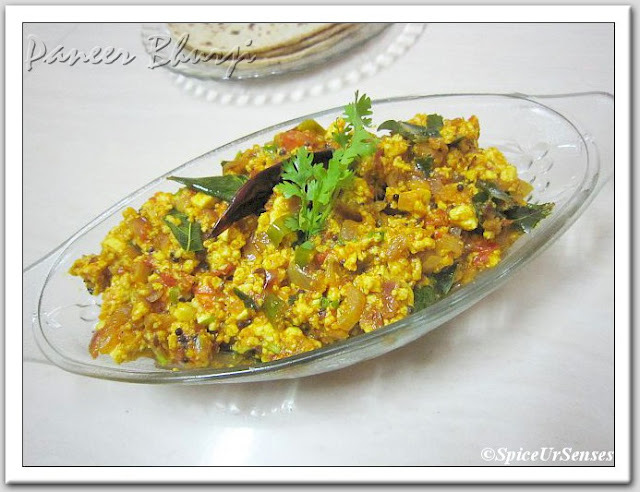 Love this bhurji, it is quick and easy to make and goes great with hot rotis. Perfect with chapatis. Looks very yummy and inviting. Looks so tempting. I'm also going to make it the same way.